try and play the game without focusing on MB and see how it goes. I can't really tell because I went full on it due to trophies right from the start. Plus it was addicting. So I just found out that Chico was supposed to survive and be a buddy in the game. 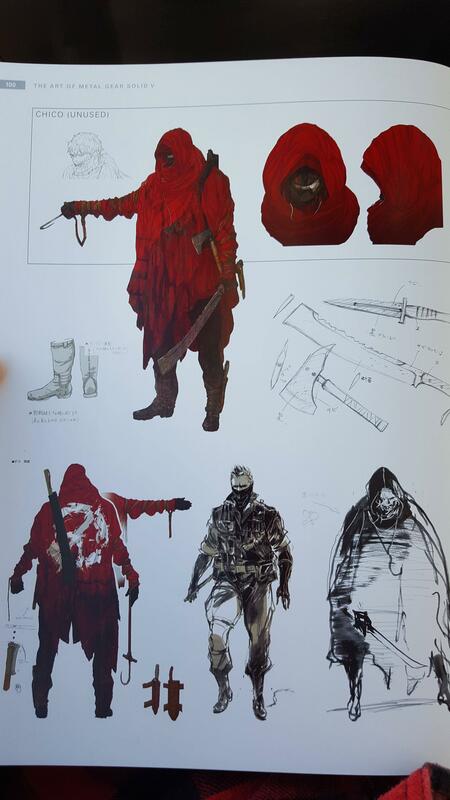 People found files on PC and there's concept art for him on the MGSV Artbook. It looks like he uses Paz's raincoat. I know most of us have played it but it's free on PS+ next month for those that haven't. I thought recently they have been giving legit non-indie games for PS+ so i did research. Last time it was an indie game was April.